Most of my clients look to get the most bang for their buck in design, but they want a beautiful, welcoming space. Afterall, that’s why they hired a professional interior designer. I like to tell people that I can create a beautiful space at almost any price. However, it is important to note the things that make a difference in the price. 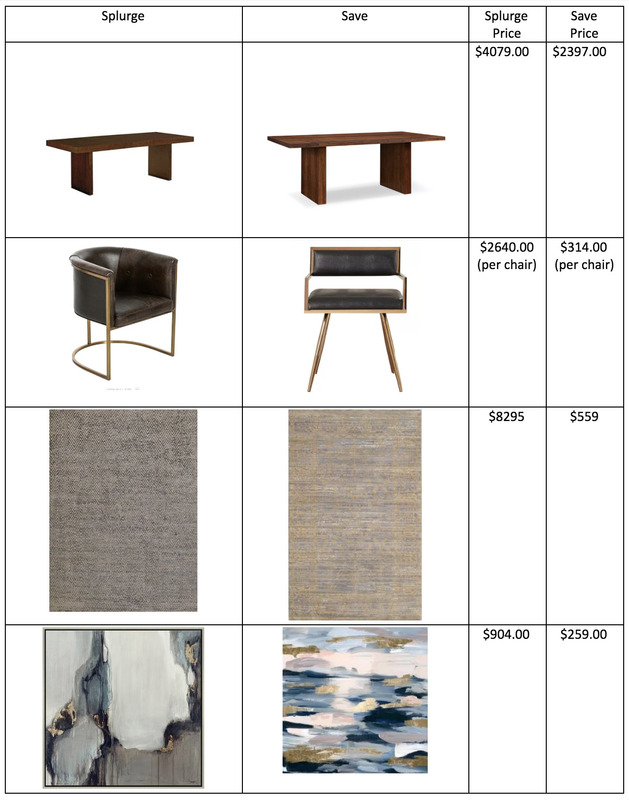 For this blog post we focused on putting together two dining rooms that have very similar aesthetic characteristics, but at different price points. What are you paying for when you pay the higher price? While the chairs are a different shape, they both showcase metal construction and a leather look. The chair from the splurge collection is a more classic option that is both a little wider and deeper than the chair in the Save Collection and also has a higher quality leather than the Save version. The rug in the Splurge collection is handwoven wool and silky viscose which ensures that each piece is slightly unique and will wear well for years. The rug from the Save collection is a lower pile, man made material that is handwoven. 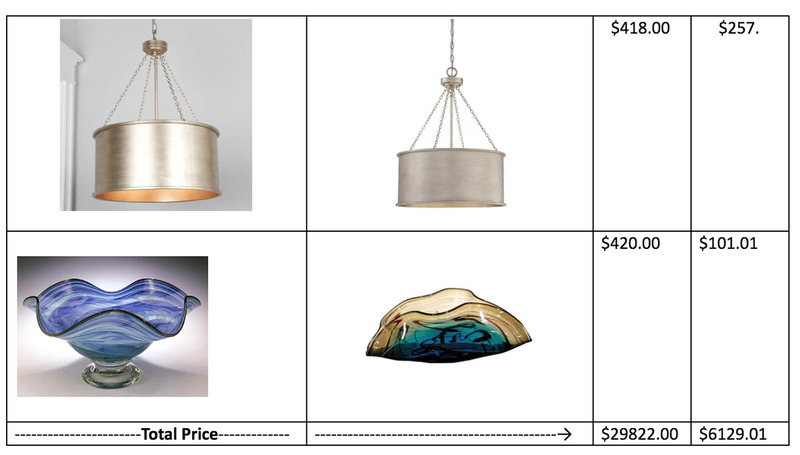 These products will look beautiful in the space they occupy, but there are notable differences in the crafting of each that relate to their price difference.